Our Civil Engineering Associate Rainer De Temple was recently seconded to the Spiire Canberra office, to provide support and training for the integration of Canberra standards and procedures within the Engineering Design Team. Over 8 weeks working from the Canberra office, it was his goal to strengthen the link between Melbourne and the regions. 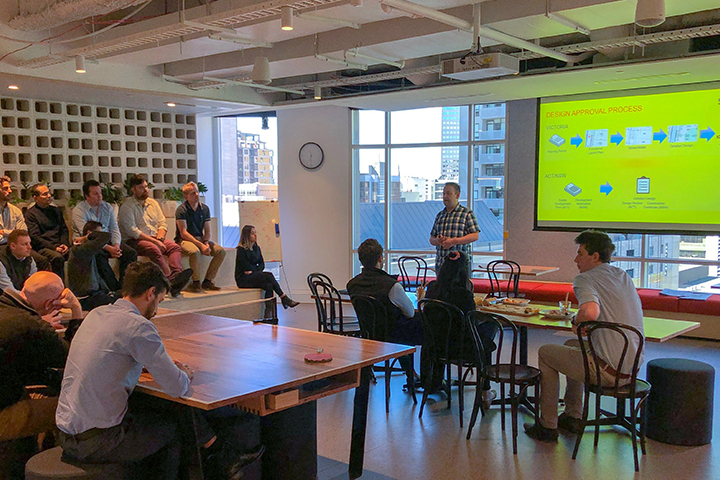 Rainer’s learnings during his secondment was presented to the design team upon his return to Melbourne, in order to highlight the contrast between the Engineering landscape in each of the regions. It was a great presentation and we definitely learnt a lot, thank you Rainer!